Happy Days Playgroup operates Monday to Friday morning sessions 9:00am to 11:30am during term time and takes place in our Little Learners room that is situated on the first floor of our facility. We offer a rich variety of play experiences that challenge, motivate and stimulate the children in an inviting, fun-filled environment. Play is how young children learn about the world around them and practise vital new skills. 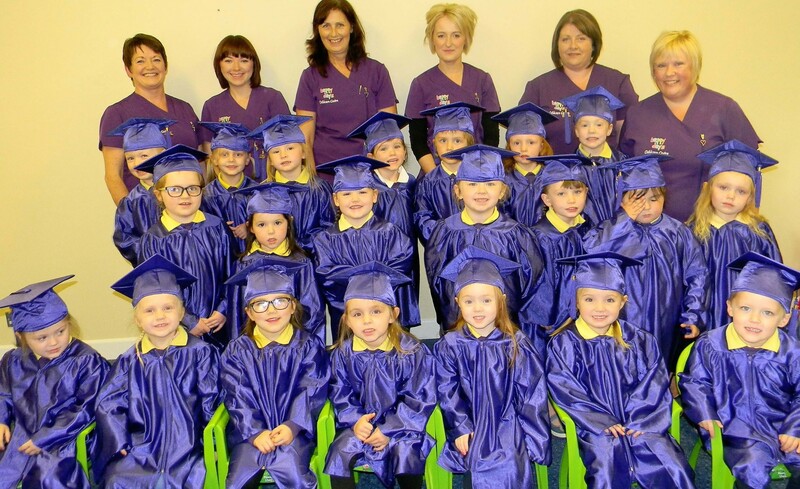 In our Playgroup, we aim to provide an excellent standard of pre-school education, tailored to meet the needs of your child, building on their individual strengths and promoting their development in all six areas of the N.I. Pre-school Curriculum: Personal, Social & Emotional Development; Language Development; Physical Development & Movement; The Arts; Early Mathematical Experiences and The World Around Us.